Ever since the creation of mankind, human beings have always been in search of energy. On the Eve of World War I, First Lord of the Admiralty Winston Churchill made a historic decision with shifting power source of British navy’s ships from coal to oil. After Winston Churchill’s decision energy became the most significant part and power of industry and led countries to clash over strategic energy points during World War II. South Caucasus energy resources played an essential role in the victory of the USSR during WWII. During World War II, Hitler’s plan was to occupy Baku on September 25, 1942. At that time Baku’s oil was providing almost the entire supply of fuel for the Soviet resistance. Anticipating the upcoming victory, his generals presented him a cake of the region -Baku and the Caspian Sea. Delighted, Hitler took the choice piece for himself -Baku. Fortunately, the attack never occurred and Nazi forces were defeated before they could reach Baku. Energy policy is a big issue that is not easy to deal with. As alternative energy sources require new and expensive infrastructure, traditional energy sources are still in the spotlight. 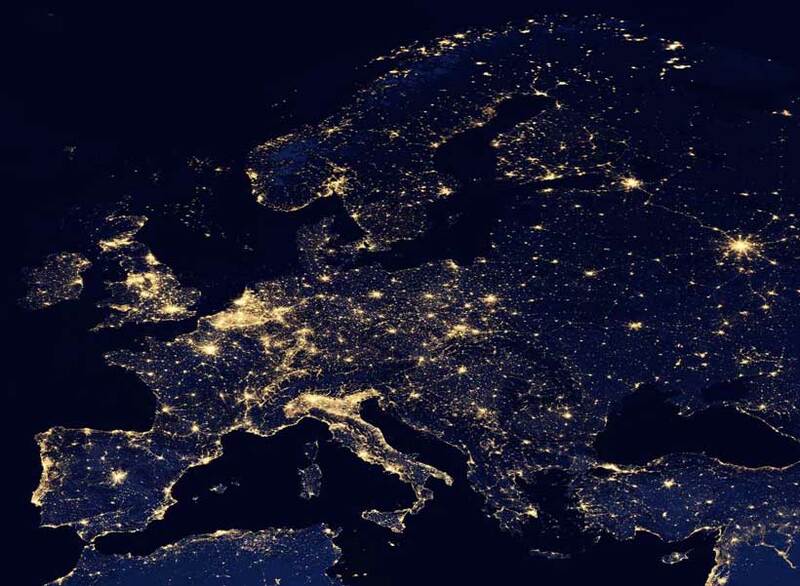 Energy consumption in the EU is more than any other region in the world. On the contrary, the EU is poor in terms of energy sources. Therefore, the EU is looking for new opportunities in terms of energy sources and security of supply. The EU is currently pursuing a soft energy policy. Although the EU wants to create a common energy policy which can allow the Member States to formulate their energy strategies freely, in line with their national interests. 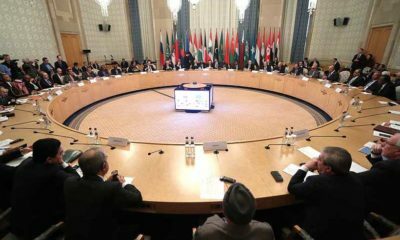 Therefore, three major issues; need to ensure required investments, the reliability of exporters, security risks on supply and transit countries, are considered the main strategies for the countries. Germany is one of the giant countries in Europe that contributes largely the EU’s economy. On the other hand, Russia is the main energy trade partner of the EU and today Russia supplies 35% of the gas demand of Europe. Russian-German relations are formed with the idea of “strategic partnership”. Official closer relations, called “strategic partnership”, have started in the Putin’s period in 2000 when Gerhard Schröder was a chancellor. These relations were based on the personal friendship of Putin and Schröder. Since 2000, the relations between Russia and Germany have intensified. In a short time, Germany became Russia’s biggest trading partner. In fact, a partnership between Russia and Germany covers all spheres of their economies, but the energy sector has the utmost importance in terms of trading relations. Russian-German partnership is important for the EU as well, because the EU, particularly CEE region is highly dependent on Russian energy. The largest gas trade between the EU and Russia was initiated by the North Stream project. 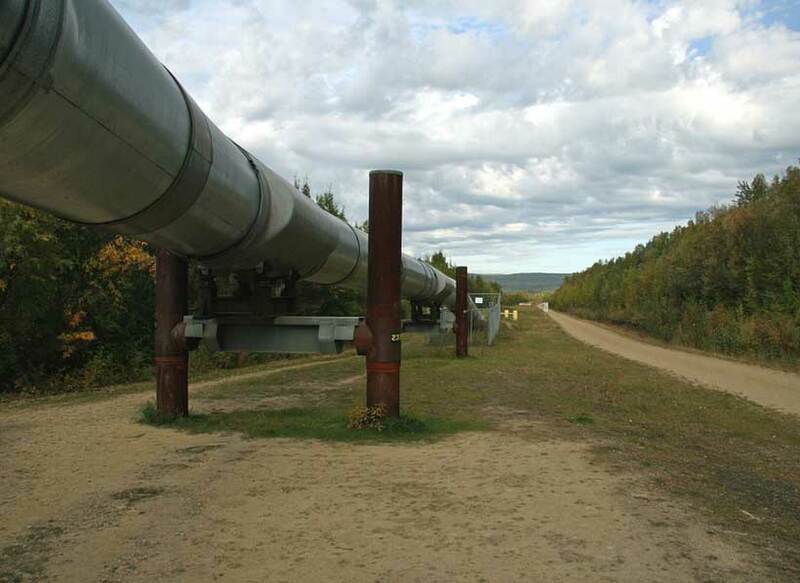 Russia sells 55 billion cubic meters gas with this pipeline to Europe. Currently, Russia tries to implement North Stream-2 pipeline project, which Germany also gives a great support for the realization of this project. After the Ukraine crisis, the strained relations between Russia and the EU began to soften after Germany’s willing to work with Russia in the energy field. In this regard, North Stream-2 pipeline project can be considered as the most important step in the building strategic energy partnership. Here is a question arises. Why does North Stream-2 important for both side? Firstly, Russia will sell 110 billion cubic meters gas to Europe after the completion of this project. This is quite a huge amount in terms of both European market and energy demand. 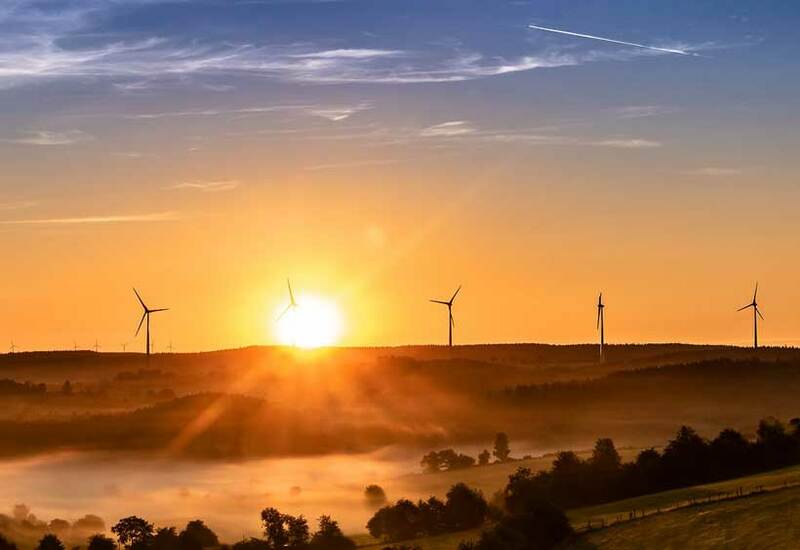 While a number of states, NGOs and institutions emphasize the importance of alternative energy resources, at the end they give an ultimately tussle on the traditional energy resources. Such dependence of energy market on Russian resources is a real and major threat to Europe’s energy security, however, one of the ways to minimize this threat is cooperation with Russia. The reason is that the Russian economy also depends on energy income and stopping the flow of energy can blow the Russian economy at the same time, considering the fact that there are numerous sanctions on Russia. That’s why Russian authorities also understand that creating a crisis or conflict is not only a solution and way to ensure political and economic interests. In fact, this mutual dependence results with softening of tense relations between Russia and the EU with strategic energy projects. Secondly, Germany wants to become the main gas distributor in Europe with North Stream-2. Germany is one of the main importers of Russian gas in the EU and being an energy hub will bring huge capital flow to the German economy. Consequently, Germany will become more influential in the policymaking process in the EU. Russian-German rapprochement may undermine the EU’s energy targets which aimed to ensure the security of supply by diversifying routes. Because North Stream-2 is proposed to extend German-Russian pipelines in the Baltic Sea. In addition, North Stream-2 is designed to completely isolate Ukraine and Poland from energy issues. As a result, due to increasing amount of energy flows, Baltic states are skeptic about their energy security and North Stream-2 is not welcomed in this region as well as in the CEE because of two previous serious gas disputes. Germany knows how to play well in the politics chessboard. After the spyscandal, Germany expelled 4 Russian diplomats in order to show solidarity with the UK. But a day later Germany announced its support and green light to the Russian giant energy company Gazprom in the context of North Stream-2. In fact, this step of Germany can soften and regulate tense relations between Russia and the EU. Because mutual interests of Russia and the EU stand on the grounds of economic relations. These mutual interests cause Russia and Europe to constantly need one another. but this need is different on both sides and defines their political power according toits rate and range. The EU is an organization itself that unites industrialized and developed countries. This allows the EU to meet their demands in the internal market. The only problem is the lack of energy resources. However, this situation is completely different in Russia. Although there are agrarian and industrial spheres in Russia, revenues here form a very small part of the budget. In addition, Russia’s aggressive foreign policy has led to a series of sanctions and serious hit its economy. Russia provides 90% of its budget through revenue from energy resources. Therefore, the European energy market has significant importance for Russia. Due to this fact, in the previous years, Russia gave rigid reactions to the projects that the EU wanted to implement. One of them was the Nabucco pipeline project and during the negotiations, this project was abandoned by the participant countries. Despite Russia turned into a major partner of the EU in the energy sector with North Stream projects, current sanctions on Russia and diplomatic crises make the EU’s cards much more powerful. Germany’s cooperation with Russia can lead to softening of the EU-Russia relations, as well as the expansion of EU’s diversification policy. On the other hand, Russia’s approach and stand are still uncertain. Germany and the European Commission are facing a similar dilemma; they are trying to break Russia’s antitrust image while also expressing disapproval of Moscow’s foreign policy. German Socialist MEP Martina Werner once said in her interview that “The reality is that when it comes to gas politics, Russia is a more reliable partner than in the geopolitical context. The Russian economy is highly dependent on the income from gas exports to the EU, which creates a strong mutual dependence between us. In foreign policy, on the other hand, Russia is much more unpredictable”. Therefore, it is important to find alternative routes for the EU and Germany as well, because this uncertainty can lead to a serious crisis which happened before. In this regard, especially South Caucasus and Caspian Basin are more important with its geopolitical position. The South Caucasus is an important geo-strategic region with its position and natural resources. Especially Azerbaijan and Georgia form transport routes between the Caspian Sea and the EU. After the dissolution of USSR, Azerbaijan’s geopolitical position has raised the importance of its natural resources. The Contract of Century (Agreement on the Joint Development and Production Sharing for the Azeri and Chirag Fields and the Deep Water Portion of the Gunashli Field in the Azerbaijan Sector of the Caspian Sea) was signed on September 20, 1994, and it was a very first agreement led Azerbaijan’s oil to enter the world energy market. This contract also made Georgia to become the main transit route in the region. Russia and Germany have extensive relations and interests in South Caucasus. Starting from 2011, with the Southern Gas Corridor this region became more important in terms of diversification and security of supply. Although its close cooperation with Russia on energy, Germany is also interested in alternative routes, especially in the South Caucasus region. President of USA, D.Trump criticized Germany as being “a captive” of Russia and stated that the US doesn’t want to see its allies are highly dependent on Russia in energy. It is quite understandable because the US wants to sell liquid gas to Europe, which is more expensive than Russian gas. Therefore, Russian gas is more beneficial at this moment for the EU and Germany as well. The EU strongly corporates with Azerbaijan and gives serious support in order to implement gas projects by Azerbaijan. At the same time is the main trade partner of Germany in South Caucasus. In this regard, A.Merkel’s South Caucasus visit is particularly important in terms of geostrategic energy politics. Azerbaijan plays a crucial role in South Caucasus due to its natural resources and position. Especially the Southern Gas Corridor (SGC) is important in terms of EU’s diversification strategy. 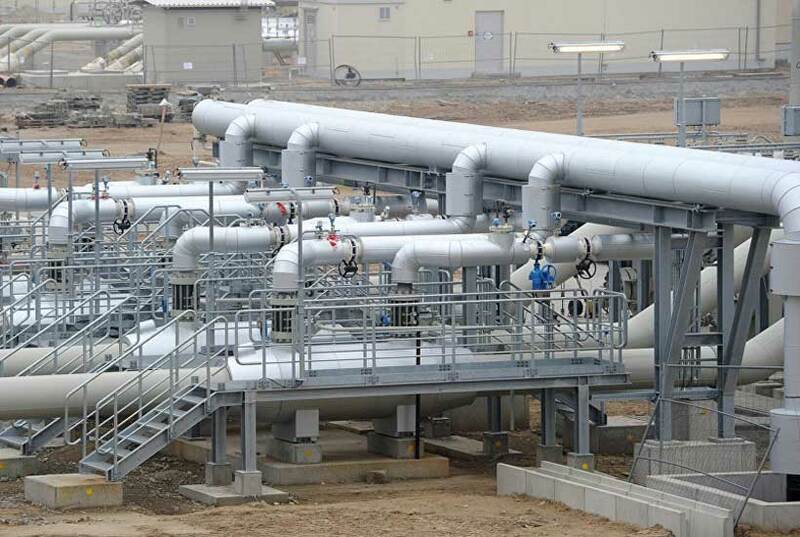 Azerbaijan provides gas to South Europe by TAP project and in future, it is planned to extend SGC’s range into most important regions of the EU. The most important nuance here is that, if the Trans-Caspian project is to be realized, the Southern Gas Corridor will provide Europe with a much larger amount of energy resources. Currently, Azerbaijan is able to provide 10 billion cubic meters gas per year to Europe by 2019, however, by 2022, this amount will be 16 billion cubic meters gas per year. On the other hand, Trans-Caspian pipeline project will increase this capacity enormously and as a result, Azerbaijan will become an important gas distributor and transit country. 1.Azerbaijan’s geographically location makes it opening the door between Asia and Europe. 3.If Trans-Caspian is implemented, it will be possible to export natural resources of Iran, Iraq and Turkmenistan by passing through Azerbaijan to Europe. Legal status of the Caspian Sea also should be emphasized in the context of energy relations. The five Caspian littoral states signed Convention on the Legal Status of the Caspian Sea and this convention gave a ground that other countries cannot intervene in the projects unless they are official partners. This convention also allows those exporter countries to build their energy strategies independently. Another look of this convention is that if Trans-Caspian is implemented it may reduce the influence of Iran and China on this region. In this regard, Russia will be more interested in this project, because in this situation China will need Russia even more than previous periods. Russia is interested in less gas export to China from Turkmenistan and this situation can lead Russia to become the main energy partner of China. From Iran perspective, it does not seem realistic that Iran can react against these processes. Because the current political and economic situation in Iran diminished its influence in the region and Iran needs Russia’s serious support after the sanctions as well. Mr. Aliyar Azimov is Senior Specialist in the Institute of Caucasus Studies at Azerbaijan National Academy of Sciences. He is an honored graduate student of Pécs University. He got his Bachelor degree at Baku State University from International Relations and Economics programme. His main research fields concern on energy politics and security, international security and foreign policy issues, peace and conflictology, political economy, and internal/external affairs of South Caucasus. He is successful participator of Essay Contest, titled Russia’s actions against the Southern Gas Corridor and potential impacts in this direction, held by UNEC Research Foundation. He was honored as the best student of year in 2013 at Baku State University. Mr. Aliyar worked as a program manager at Hungarian NGO – Subjective Values Foundation. Currently, he is also External Relations Manager at Technote, which is the biggest tech media company in Azerbaijan.